Disregarding the Godzilla-sized cockroaches, Japan is the land of cute animals. Not only does the island nation have several islands owned by cats and a bunny haven, it also has Zao Fox Village in Miyagi Prefecture. 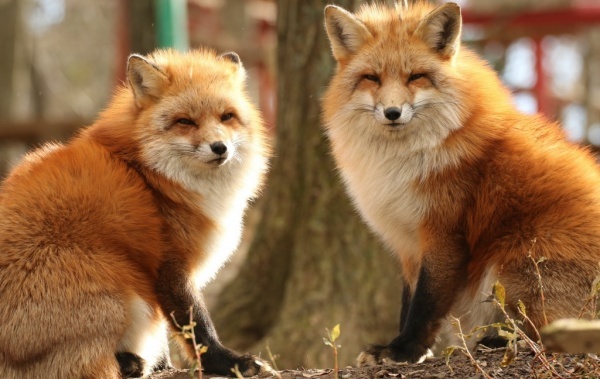 North of Tokyo, Miyagi Prefecture is a land of natural environment and four distinct seasonal changes, making it the perfect location for the magic of kitsune – the Japanese word for ‘fox’- to be experienced by those who visit the Zao Fox Village sanctuary. 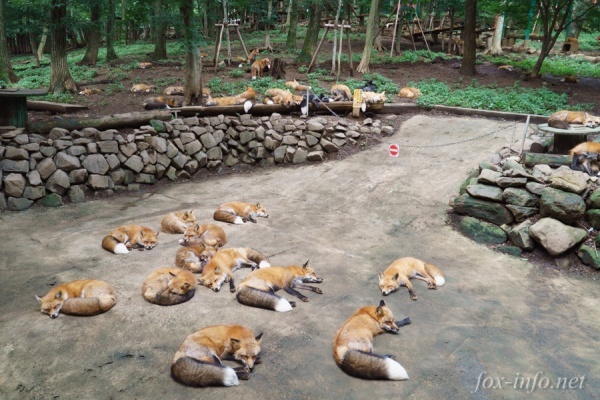 If you love foxes, you just have to visit Zao Fox Village. Though not technically a village but an enclosed section of otherwise untouched forest, the establishment was founded in 1990. The purpose was to create a sanctuary for various species of foxes, including the silver, artic and black foxes. Other animals, like goats and rabbits, have also found peace at the village as well. The area is covered in torii gates and inari statues to show respect for Japan’s auspicious fox god. You can enter the village from 9:00 am to 4:00 pm every day. Anyone 13 years or older has an admission price of 1000 yen. Children 12 and under can get in for free. At the reception area, you can choose to buy some fox food. Bags start at 100 yen, but depending on the kind, it may be higher in price. There is a caution when bringing young children. Because the foxes are not domesticated, only protected by the sanctuary, some of them are not friendly. Children need to be watched if you do bring them. Aside from meeting the real foxes, there is a store on site that has original items. Ever want cookies with fox faces on them? You can get them here. 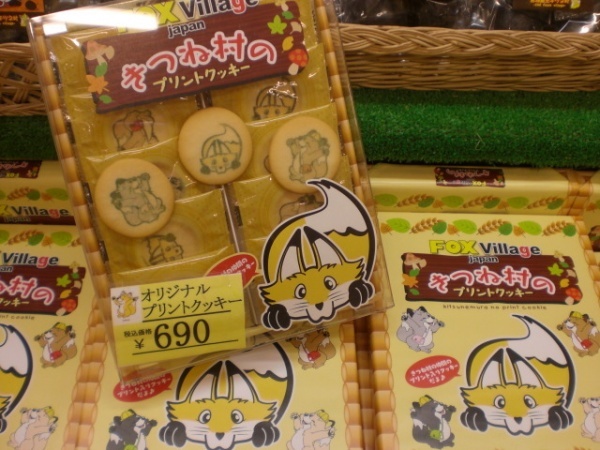 There are also baked goods and lollipops that feature foxes in the shape of maneki-neko (beckoning cats). Stuffed animals and kokeshi-like figurines also line the shelves. For anyone who absolutely adores foxes, shopping here is a definite must. Over 100 foxes roam the wooded grounds. You can see them in a more or less natural habitat, doing what they do best – frolicking and playing tricks. Their curious eyes will follow you everywhere, looking for a treat. You cannot just openly walk up to the foxes to give them pets, but some of them will allow for scratches behind the ears or glamour shots as they play in the snow. During this time, the parents drive the kits away from the den, encouraging them to venture out into the world. The keepers of the sanctuary describe this parting as both loving and brutal in their blog, which is updated regularly in both English and Japanese. Ready to see one of the cutest places on the planet? 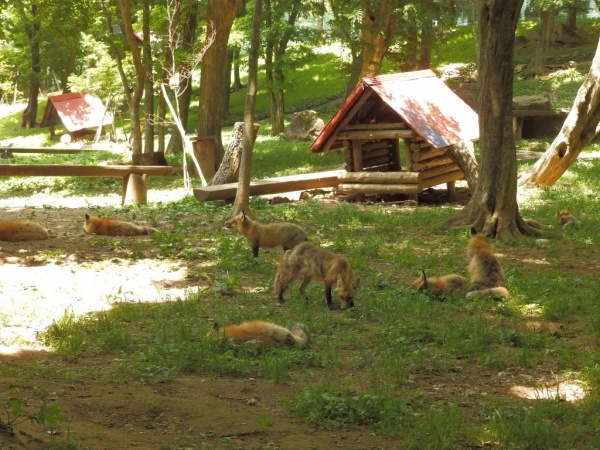 You easily access Zao Fox Village from Tokyo for a day trip. You can ride the Tohoku Shinkansen from any major station with JR East access in the Greater Metropolitan area to Shiroishi-zao station in Shiroishi, Miyagi. If coming from Northern Japan or Sendai, you can use the same line. Since Zao Fox Village is not within walking distance of the station, you will need to take a taxi. The ride is about 20 minutes and totals around 4000 yen one way. Another option is the Castle Kun Shuttle Bus that runs on Tuesdays and Fridays. Though the final stop is at Kawarago Dam, you can request for the driver to stop in front of Zao Kitsune Mura. The bus fare is around 200 yen one way. However, this might not be the most convenient. Recommended clothing is long pants and boots. Not sneakers or anything with open toes. Depending on the time of year, there will be snow on ground. In the summer, you need to watch out for fox droppings. Also, keep your precious items or anything that might dangle tucked away. Not only are the foxes inquisitive, they are perpetually hungry and will try to eat anything that looks even slightly edible.